Fun and entertainment to millions of people, all the time. Released November 2014, Sniper 3D was an immediate hit: in the very first month, it reached the mark of 10 million downloads. As of 2016, it was the most downloaded game on the App Store, with thousands of players exploring, daily, its more than 10 stages, adding to hundreds of missions. With unique weapons and different playing modes, Sniper 3D is considered by many the world's best game in its category! Released July 2015, Colorfy is a free app that follows the trend of adult coloring books, with 90+ million users around the world. Its 15+ themes and 500 coloring drawings allow you to relax and distract you mind in a light and fun way, releasing your daily stress. There are new patterns every day, tens of colors and lots of different filters that turn each drawing into a unique piece of art. Chosen one of the "Best Apps of the Year" by Google, Apple and Amazon, Colorfy is a true all-ages therapy. With Color By Numbers, it's even easier to color images in a fun and harmonious way. It's an extremely relaxing game, perfect to be played anywhere since it requires no internet access. How about controlling a lethal tank in incredible WWII landscapes, fighting battles against players all around the world? That's what happens in War Machines. The game allows ferocious team combats or open battles, in which everybody fights every one else. Based on real models, the available tanks are a spectacle by itself, allowing continuous improvements, besides their customization. Block Craft 3D is a phenomenon: released in 2015, it reached the top of the ranking and establish itself as the most downloaded digital sandbox. In this game you can build the city of your dreams, visit cities build by other players around the world and even create alliances to build fantastic places. Get ready for incredible battles against millions of global opponents in this medieval strategy game. Collect trophies to get to the last and most challenging castle. Don't forget to join clans to rank up even faster, globally. You will need lots of strategy and skills to defeat your enemies in the battlefield. Collect tens of different troops and weapons, from the devastating air fighter to the deceiving landmines. 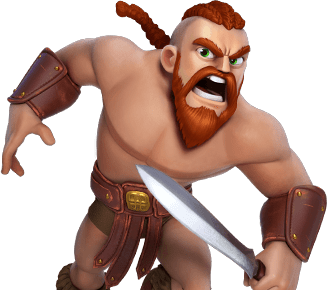 Since its release in late 2017, there have been millions of real-time battles.